Founded in 1959, Indian Oil Corporation is India’s number one Fortune 500 company, with $69 billion in revenue and 35,000 employees. Their products include fuels, lubricants, and petrochemicals, with over 35,000 sales points for LPG and retail. Indian Oil’s entire business runs SAP today. 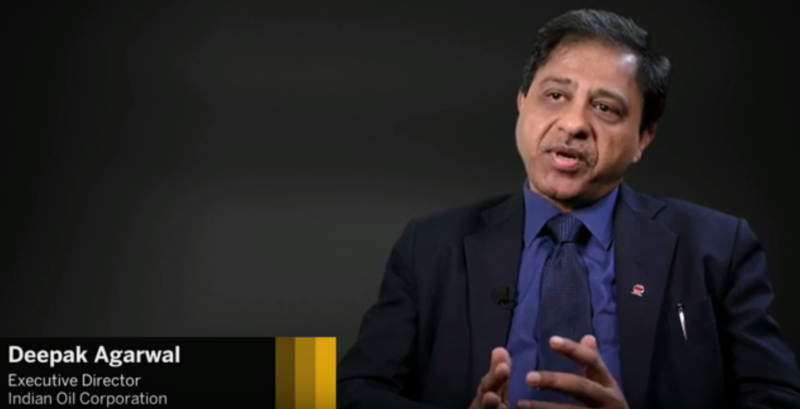 Indian Oil’s Executive Director, Deepak Agarwal, recently explained how digital transformation means combining digital technologies with the SAP Cloud Platform and regulatory framework to provide new business models for competitive advantage. See the entire video on SAP’s channel on YouTube here where Deepak discusses how they are leveraging digital transformation to provide better visibility for asset management, smart terminals, and other applications.